I have chronic cough and nasal congestion and Clear Phlegm by Health Concerns clears my mucus better than anything else. Clear Phlegm by Health Concerns works well to clear your chest of that nasty phlegm. Kept me from having to make an expensive trip to the doctor! I use this when I get sick and it works every time. Oh goodness, if you have any kind of congestion, sinus or lungs, even asthmatic reactions, Clear Phlegm by Health Concerns works really great! Follow the directions and you will be cleared up in no time. 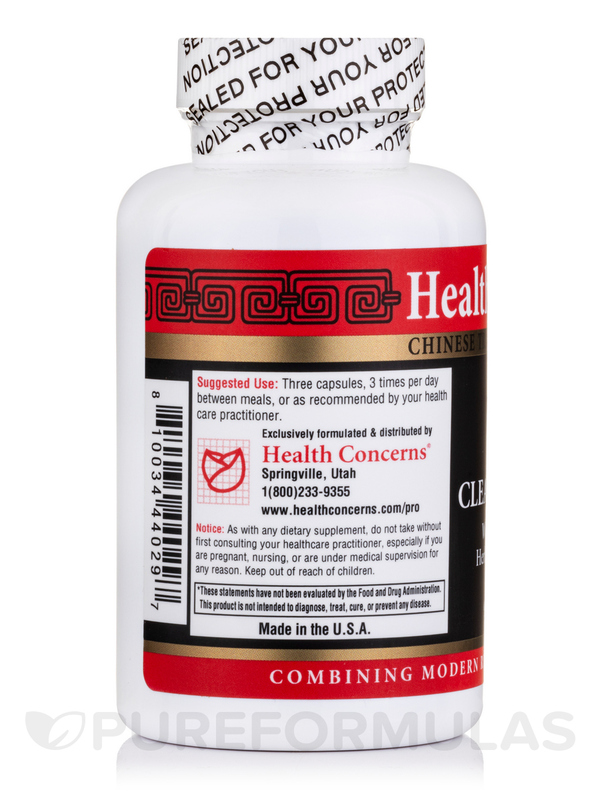 Clear Phlegm (Wen Dan Tang) by Health Concerns provides an array of herbal extracts that might work to maintain overall well-being. Notably‚ zhu ru may play a role in clearing excess heat and phlegm from the stomach and gallbladder. In addition‚ Clear Phlegm (Wen Dan Tang) could potentially serve as a gentle expectorant. As a result‚ this supplement may help address certain symptoms associated with chest congestion by working to loosen mucus from the walls of your respiratory tract. 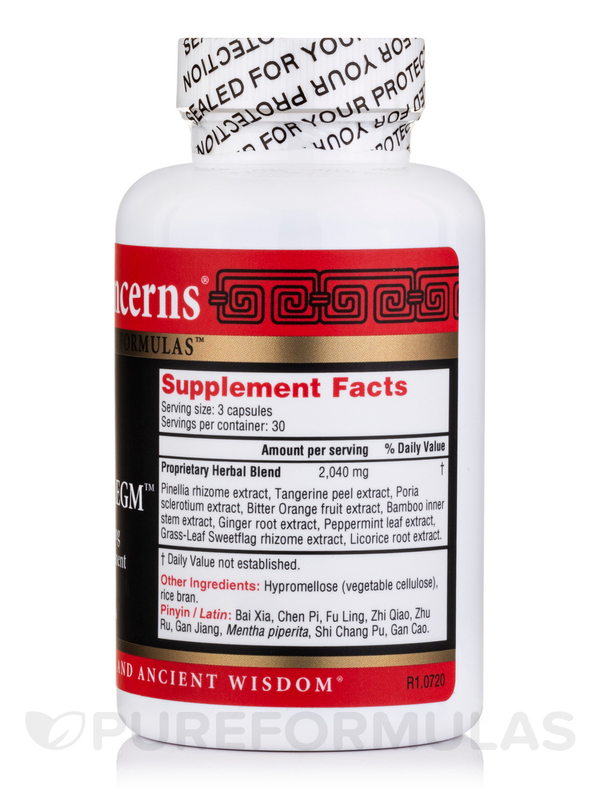 According to proponents of traditional Chinese medicine‚ this formula may also work to alleviate dizziness or nausea. Finally‚ Clear Phlegm (Wen Dan Tang) might work to relieve symptoms such as mild heart palpitations or anxiety. The recommended serving size is three tablets between each meal‚ for a total of nine tablets daily. 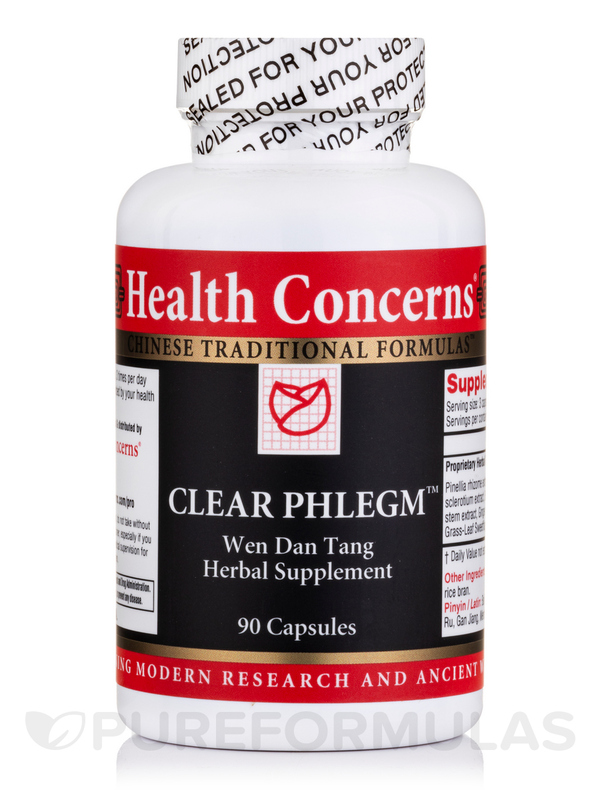 Therefore‚ a 90-tablet bottle of Health Concerns’ Clear Phlegm (Wen Dan Tang) should last for about 10 days. Works like it is supposed to work. About two weeks ago, I was diagnosed with asthmatic bronchitis (a new one for me). My doctor put me on Z-Pack, Breo, Allegra D and I was supplementing with other Chinese supplements. Although all this stuff had somewhat improved my symptoms, I was still not up to 100%. I was going through the nasal congestion, post-nasal drip, wet cough, a rattling mucuousy noise in my windpipe. I finally read about Clear Phlegm by Health Concerns. Within 24 to 36 hours, my symptoms was muched improved! I am on my third day, and all my symptoms have all but vanished. I know that individual results will vary but I saw myself suffering for another week or so and another trip to the doctor, and possible more meds. I will keep this on hand for future use. It starts working right away and you get really good results. The pills are kind of big and harder to swallow. Kind of an odd taste but not too bad. Clear Phlegm by Health Concerns really help clear out the phlegm. I was pretty surprised and impressed . Good but . . .
Clear Phlegm (Wen Dan Tang) did exactly what it said it would. I have been taking pseudafed and still couldnt stop all the congestion and nasal drainage. Unfortunately it triggered my asthma and I was unable to use it. Without the asthma issues it would have been great. I am on a medication where I can only eat three meals per day. Since the directions say to take 3 pills 3 times a day between meals, when would I take the last three? Could I take them before bed even though I won't be eating a meal afterwards? Thank you for reaching out to us, Amanda. We ask that you please contact your health care provider with this question since they would be familiar with your particular needs. Though the dosage that is recommended does say 3 tablets, 3 times a day, your doctor may recommend a different dosage for your needs.